Dairy Specialist, Joe Patton discusses silage production, from the cost to key metrics for quality and the optimum cutting date. Joe explains what to look for when analysing the quality of grass silage and what quality and quantity of silage is required for the various groups of stock on the farm. Finally, Joe debates optimum cutting date to maximise quality and quantity. 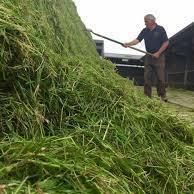 Importantly, one silage paddocks reach heading date, quality will decline by 0.5-1 unit per day.